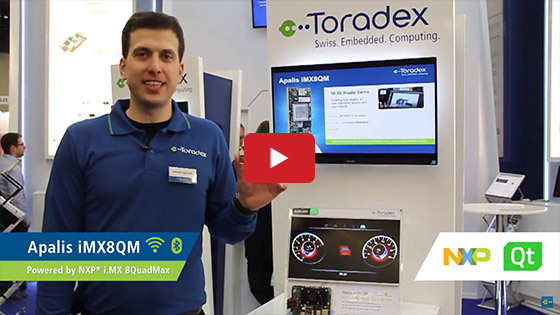 In this video, Toradex's Wesley Oebel gives you a sneak peek into what Toradex will be showcasing at the Embedded World show in February 2018 at Nuremberg. 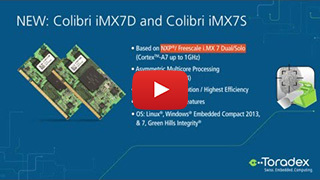 One of the highlights is that you can get a close look at our brand new Apalis iMX8 module featuring the high-end iMX8 SoC from NXP. You can sign up for early access and experience demos like Qt 3D. This year, Toradex invited many of our partners to show off how they can help you to create a successful product. On the UI Framework front, we’re featuring Crank, Disti and TES in addition to Qt. Make sure you also check out our demos at the Qt booth. 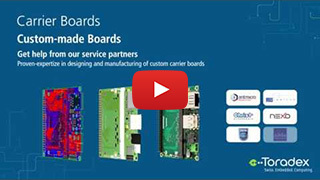 As Graphical user interfaces are not the only way to interact with a device, we’re also featuring a 3rd party carrier board with voice control from our partner Gumstix. This board was designed with Geppetto which is an online drag and drop carrier board design tool. Last year, we demonstrated how you can use QNX on our modules; this year we’ll have a demo from Green Hills and Antmicro showing Android on our high-performance Apalis TK1. If just one TK1 isn’t enough, you can experience what 4 TK1’s can do when combined on the carrier board from Christmann. As a leading provider of Arm-based Edge Computing power, Toradex sees more and more computer vision applications. You’ll be able to try a product form our customer Roboception, which features a pair of stereo cameras. In this demo, one can experience simultaneous localization and mapping or SLAM for short, a technique which has many applications, especially in robotics and drone applications. We have a joined Deep Learning Demo with our partner Vertex.AI. It demonstrates how deep learning can solve computer vision problems that are not straightforward with traditional technology. At MvTec booth you can see our high-end Apalis Modules in a demo in a more traditional industrial computer vision application. We will have a pod dedicated to CODESYS, a popular Software for running real-time soft PLC on our modules. Nexo will present the CODESYS demo utilizing EtherCAT. 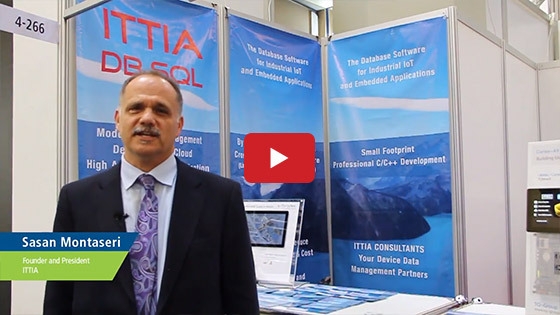 Additionally, Acontis will show off their EtherCAT stack optimized for Colibri iMX6 and other products. The cool thing is after embedded world you will be able to try out many of the demos via our Toradex Easy installer with just one click. Our engineers are looking forward to discussing your project with you.